Exciting riding with our Motorcycle Rentals shops in Phuket in our listings below. 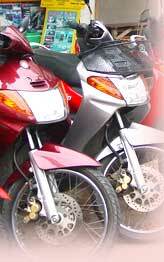 Phuketindex.com has a large selection of motorcycle rental in Phuket to provide you convenience and comfortable traveling on Phuket Island. Best rental at the reasonable price!